Have you noticed that our society has become increasingly, alarmingly polarized? Social Media accelerates this trend. And, this trend is probably beyond the awareness of most of us everyday citizens. 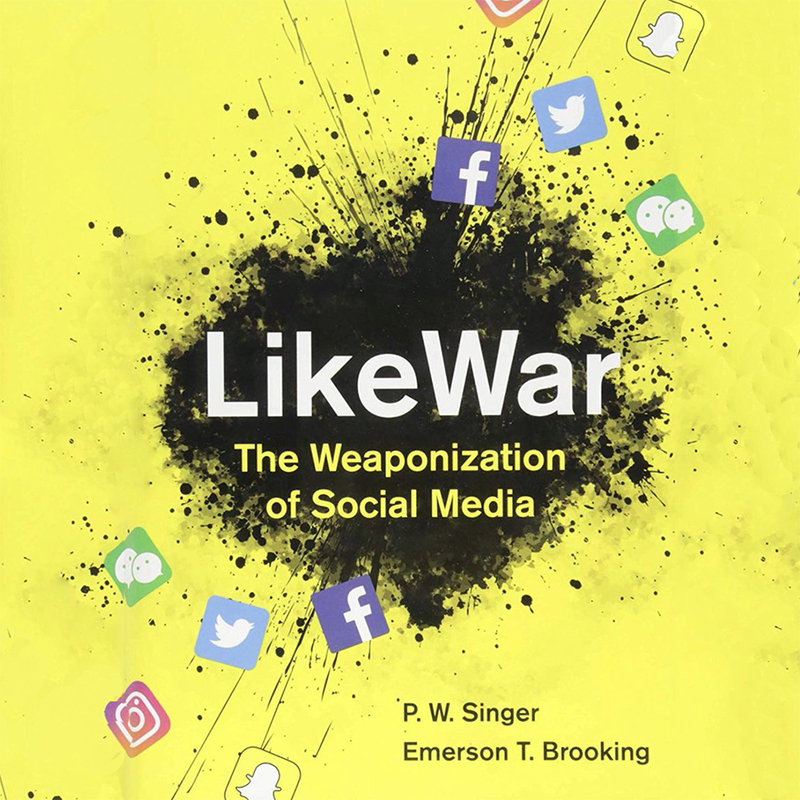 Jerry Kashmerick and Dennis Briley discovered a book that speaks to this issue: LikeWar, The Weaponization of the Social Media. A Discussion Group based on the book is planned for Thursday, April 18th, 6:30 pm to share what Jerry and Dennis have learned about this topic. Through the weaponization of social media, the internet is changing war and politics. LikeWar charts the use and misuse of social media, where abuse of the internet has had profound political and military consequences. Activists and radicals understand the subversive potential of online campaigns, but so do governments that seek to stifle them and control information. Meanwhile, Facebook, Google, and Twitter realize how their creations are being used to stir up hate and spread false stories and are wrestling with ways to curb the worst offenses. LikeWar authors also explain why our attitudes and behaviors are so susceptible to manipulation. Social Media was designed to be addictive. The brain fires off tiny bursts of dopamine as a user posts a message and it receives reactions from others, trapping the brain in a cycle of posts, “likes,” retweets, and “shares.” The book includes ideas for addressing how the social media industry has failed their civic responsibilities. Please consider attending, even if you can’t read the book ahead of time. This will be a discussion format rather than a lecture, so the discussion is open to expansion to other tangential issues. And, the plan is for the group to consider additional meetings. Watch for a sign-up table in the Community Room after services. Contact Dennis Briley or Jerry Kashmerick if you would like more information, have questions, or are interested in participating.